I have been participating in a fun shindig called "Countdown to..." each year to round up my best/favorite recipes from the year from Fantastical. 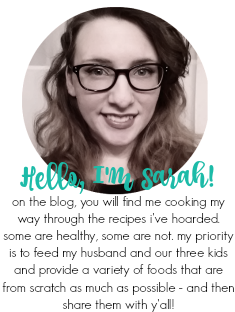 I joined other food bloggers in this really fun activity sharing round ups from Dec 26 until Jan 1 to ring in the new year. I've been waiting for my email with all the details this year, but I don't think that the host is doing it this year. I can't NOT do the countdown now that it's been since 2011 that I've participated, so I decided to host it this year and invite anyone who would like to join in, to join in! All you have to do is round up the best recipes you posted in 2014 on your blog for each category. I typically make a collage for easy pinning. Each post you can stop by and link up to the corresponding day, here on Fantastical or on the Secret Recipe Club website. On the 1st, the "Pick Your Poison" category is simply a you-choose category. 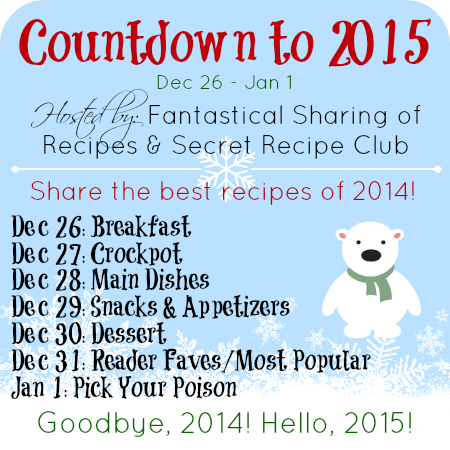 You can share your favorite recipes from 2014, recipes from someone else's blog that you can't wait to try in 2015, beverages, etc. Any kind of miscellaneous round up that you would like to share...is game on the first day of 2015! If you have any questions, please leave a comment or email me at fantasticalsharing1 at gmail dot com. I'll see you back on Friday for the first Countdown to 2015 post all about the best breakfast recipes of 2014! Added note: You do not have to participate every day or all the days. If you want to do just dessert and reader faves, you are welcome to just those. Or just one day, that's perfectly fine! It is up to you how many or few you want to do.